In his presentation, Lester also discussed the many reasons we read and stated, “We’re reading to make ourselves powerful, we’re not reading to raise a score.” In today’s educational climate in which data and test scores seem to be at the forefront of learning, this was an important take-away. I appreciated that all of the district administrators, including the superintendent were sitting in the audience, hearing this message. If students are going to be motivated to read, it’s not going to be because they want to pass the test. Students will be motivated when they find joy and pleasure in reading. Finding ways to foster the joy and pleasure of reading, while also meeting the demands of the curriculum amongst pressure to prepare students to pass the state test is a challenge for many teachers. 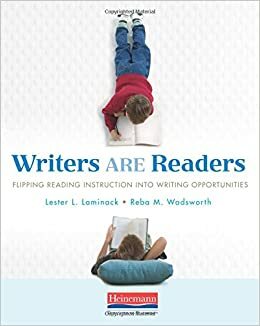 Lester Laminack reminded us that our job is to create readers, not students who answer questions or take tests. This is an important message to remember at the start of a new school year. Lucky you! 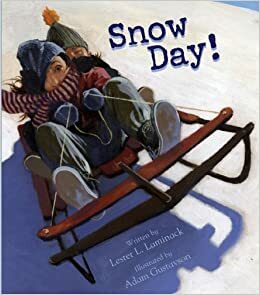 I could listen to Lester Laminack all day and then some!! I've seen him multiple times and don't think I would tire of him either! I love your post! YES to thinking deeply while reading, YES to living through the text. Brilliant! How wonderful to begin the school year with a message from Lester. Thanks for sharing some take aways, too. It was very refreshing to hear him talk about building joy of reading. We've started to drift too far away from doing that with all the focus on test taking. I've seen Lester Laminack several times, but never in PD. You are fortunate indeed. Love hearing all the words you thought important in helping students love reading. We've been fortunate to have some great speakers on the first day in the last few years. Last year we had Steven Layne, who teachers found very inspiring, and the year before Ralph Fletcher. Wow, Lisa! I've heard Lester Laminack three times, and it's always a pleasure. I would love to hear Ralph Fletcher. You're lucky to be in a district who brings in great speakers.